On Wednesday, September 6, 2017, Mount Prospect police officers responded to a report by hospital staff of possible physical abuse to a 3-month-old boy who was being treated at Ann & Robert H. Lurie Children’s Hospital, according to a statement from Mount Prospect police. An investigation at the children’s hospital at 225 East Chicago Avenue in Chicago found the boy suffered severe bruising and trauma on his back. 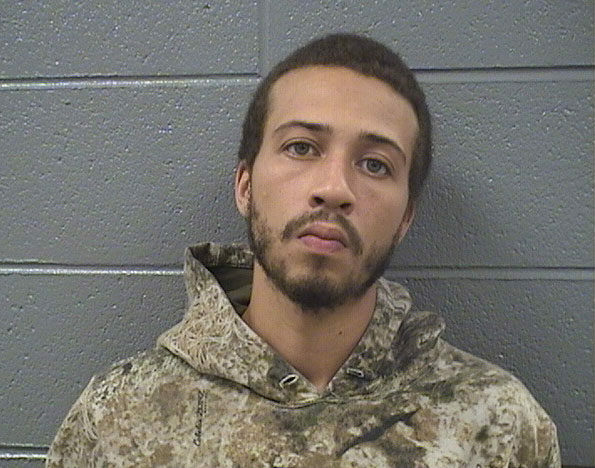 An interview with his parents revealed that the boy’s father, James Howard, age 24, had inflicted the injuries while staying overnight with a family member in the 700 block of Central Road in Mount Prospect. The injuries allegedly occurred when the child wouldn’t stop crying, Mount Prospect police reported. On September 6, 2017, the Cook County State’s Attorney’s Office approved one felony count of Aggravated Battery of a Child against James Howard, residing at 3009 North Harlem Avenue, Chicago (Montclare Neighborhood). On Thursday September 7, 2017 James Howard, 6’0″ 150 LBS, was transported for a bond hearing at the Cook County 3rd District Courthouse in Rolling Meadows, and was subsequently held at Cook County Jail on $2.5 million bail. Howard’s next court appearance is scheduled for for September 29, 2017 at 10:30 AM in room 108 of the Rolling Meadows Courthouse. James Howard, Mount Prospect Aggravated Battery of a Child suspect.